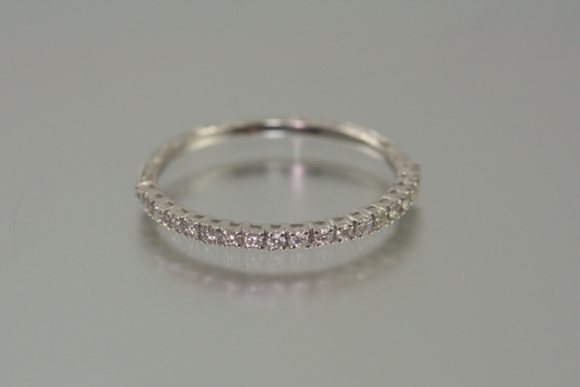 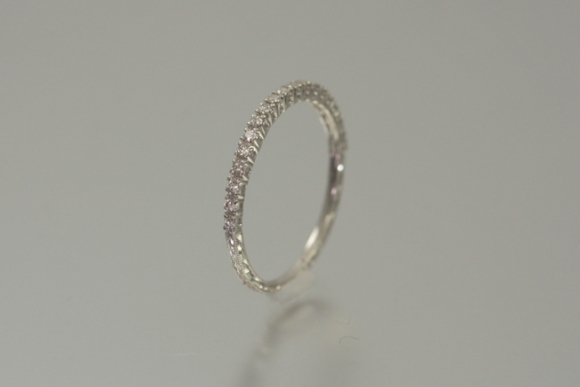 This lovely band is prong set with .15 carat of round brilliant diamonds. 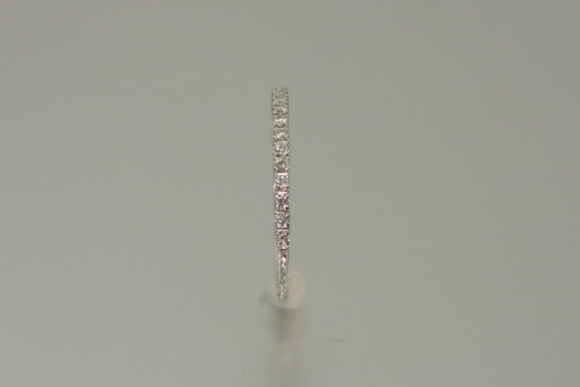 The profile and edge of the band is further enhanced with hand chasing detail. 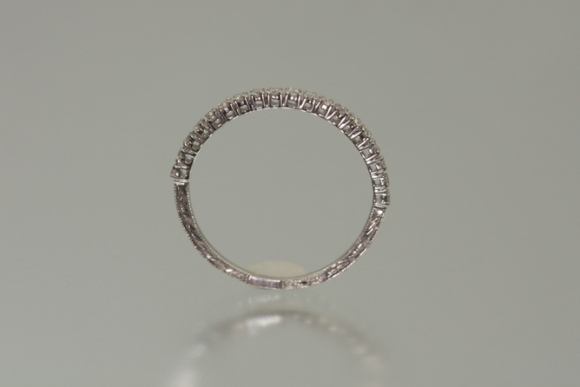 The ring measures 1.5mm in width and is a size 6. 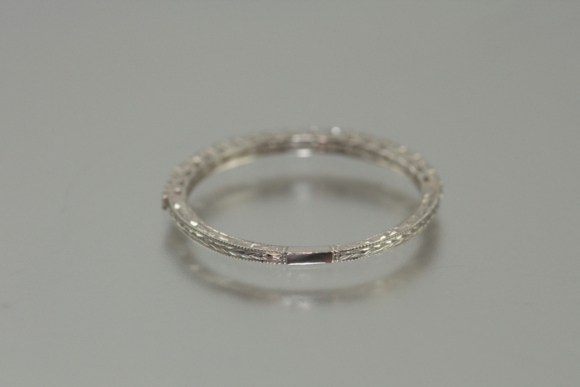 The ring may be sized to fit.